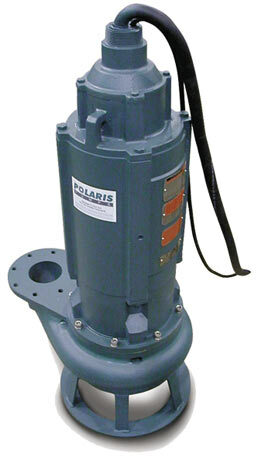 At Polaris Pumps, quality begins at the initial design phase. Our objective is to supply industry with submersible pumps that will provide years of reliable service under the toughest conditions. Out in the field, submersible pumps are subjected to extreme environmental conditions and Polaris Pumps are designed with this thought in mind. That is why every step of the manufacturing process is tightly controlled and the materials we use in our pumps are the best available. All Polaris cast and machined parts are designed and manufactured using the latest in CAD/CAM and CNC technologies to maintain consistent performance and maximum wear life. Our castings and components are sourced both in Canada and the United States from specialty foundries and CNC production machine shops that understand slurry pumps and our customer’s needs and expectations, and at the same time can comply with our stringent material and quality requirements. All of our raw material, casting, machined component and accessories suppliers are ISO-9000:2000 certified. We have been collaborating with one of the premier U.S. electrical motor manufacturers to produce the finest, configurable, submersible slurry motors on the market today. In order to comply with the many stringent safety requirements across the many industries and countries we serve, our submersible motors can carry both the UL® and CSA® marks of approval. Our motors are manufactured in the United States and can be serviced and repaired when necessary thru an extensive service network throughout the Americas and the rest of the world. We are extremely proud of the products we offer and we are certain that the quality of our product is readily apparent – not only visually, but when and where it counts most – in the field doing its job. Our submersible units have a proven reliability record and most have been in continuous service for years under the harshest conditions from the Arctic Circle to the Canadian oil fields, the copper mines of the South Western United States and South America to drilling platforms in the Gulf of Mexico and the North Sea, coal fired power plants and steel mills across the United States. Most applications in our field are unique and very demanding and we are committed to any level of technical and logistical assistance to our customers and end users for a successful installation. Our professional representatives are ready to help you solve your pumping problems.